Situated in Torrita di Siena, this boutique farm stay is 0.1 mi (0.1 km) from Val di Chiana and within 3 mi (5 km) of San Biagio and Cantina del Redi. Civic Museum and Palazzo Ricci are also within 3 mi (5 km). Situated in the historical district, this farm stay is 0.1 mi (0.1 km) from Val di Chiana and within 9 mi (15 km) of The Saints Peter and Andrew Church and Piazza Pio II. Palazzo Comunale and Museo Diocesano are also within 9 mi (15 km). 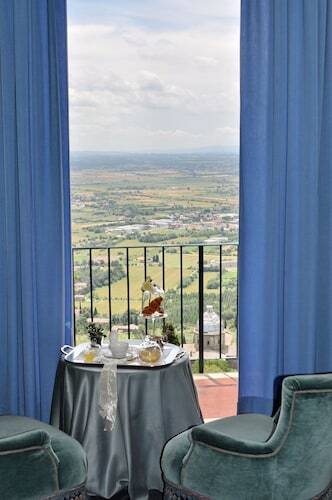 Situated in Torrita di Siena, this spa hotel is 0.1 mi (0.1 km) from Val di Chiana and within 9 mi (15 km) of The Saints Peter and Andrew Church and Church of St. Agnes. Colonna del Marzocco and Palazzo Avignonesi are also within 9 mi (15 km). Situated in Torrita di Siena, this farm stay is 0.1 mi (0.1 km) from Val di Chiana and within 6 mi (10 km) of Church of St. Agnes and Colonna del Marzocco. Palazzo Avignonesi and Palazzo Cocconi are also within 6 mi (10 km). 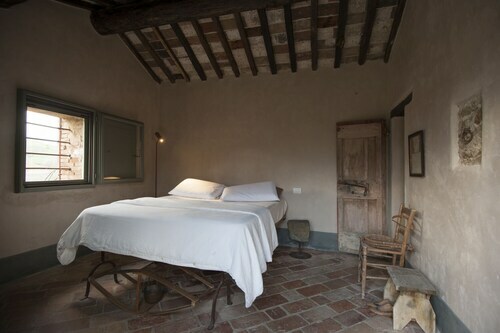 How Much is a Hotel Room in Torrita di Siena? 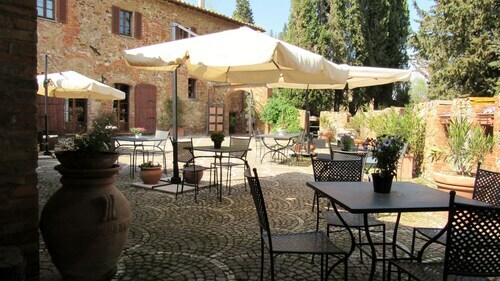 Hotels in Torrita di Siena start at $77 per night. Prices and availability subject to change. Additional terms may apply. 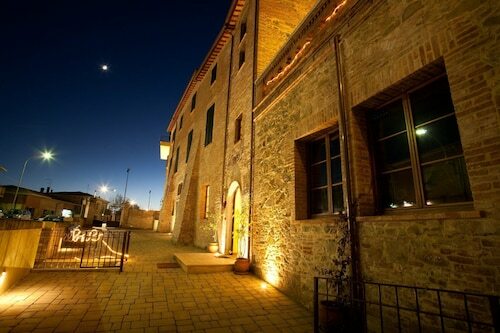 Rooms within an easy walk of the center of Torrita di Siena, are the Follonico 4-Suite B&B and Hotel Rotelle. 17 miles (27 kilometers) outside of the town center of Torrita di Siena, you can find the Castel Monastero. The Castello di Velona SPA Resort & Winery can be found approximately 17 miles (27 kilometers) away. Another option is to take a room at the Adler Thermae Spa & Wellness Resort or the Relais La Corte dei Papi. Once you've explored Torrita di Siena, how about you explore a little bit more of the region? The Tuscany area boasts a number of things to offer tourists. Tuscany proudly offers rural landscapes. Interesting traveler draws include ruins. In this fascinating part of Italy adventurous visitors might partake in snowboarding. 40 miles (60 kilometers) away from Torrita di Siena, you'll reach Val d'Elsa, home to Archeological and Collegiate Church Museum and Torre Rognosa. A few Travelocity-recommended Val d'Elsa places to stay include the Tenuta Di Mensanello and Torraccia di Chiusi. 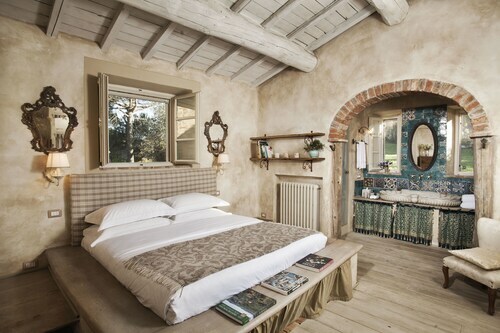 Or, you could consider staying in Val d'Orcia, 13 miles (21 kilometers) to the southwest of Torrita di Siena, where you can choose from the Hotel Osteria Dell Orcia and Locanda del Loggiato. The Collegiate Church of San Quirico and Palazzo Chigi are a couple of the popular sites to see when you're in Val d'Orcia. Simply because you're on a getaway, doesn't mean that you can't fuel your love for a day watching sports. Find Stadio Artemio Franchi 50 miles (80 kilometers) to the northwest of Torrita di Siena. Travelocity customers that would like the ease of booking a bed not far away, reserve a room in the Four Seasons Hotel Firenze or The St. Regis Florence. For those travelers planning on arriving or departing via Peretola Airport, you may like to book a Travelocity-listed room at Torre di Bellosguardo, or Sina Villa Medici, which are each close. This hotel has a beautiful view that is worth the winding, uphill drive to it. The staff is very professional, and the facilities are beautiful. The elevator is tiny, so if you are uncomfortable with small spaces, request a room on the main floor or only one flight away. The restaurant next to the hotel was not our favorite ( food taste, unfriendly staff), but you can walk right around the corner, and you are on the Main Street in Cortona. The location of this hotel is worth every dollar spent!! 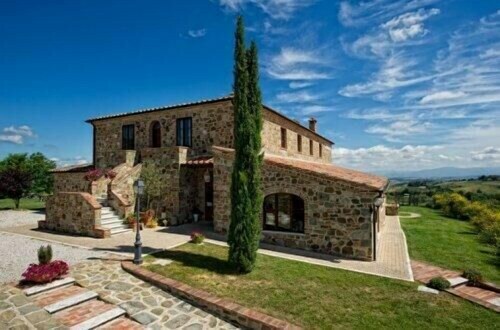 5.0 Amazing, beautiful Tuscan villa! Everything I dreamed of a Tuscan holiday and more! Beautiful villa, spacious lovely rooms, charming staff, all surrounded by picture perfect Tuscan countryside. Really couldn't ask for more.